About 3 years ago actor Tusshar Kapoor welcomed son Laksshya via surrogacy. And now another person of the Kapoor family also opted for surrogacy. Indian Television producer Ekta Kapoor, who is considered the most successful television producers in the country, has become a mother to a son via surrogacy. 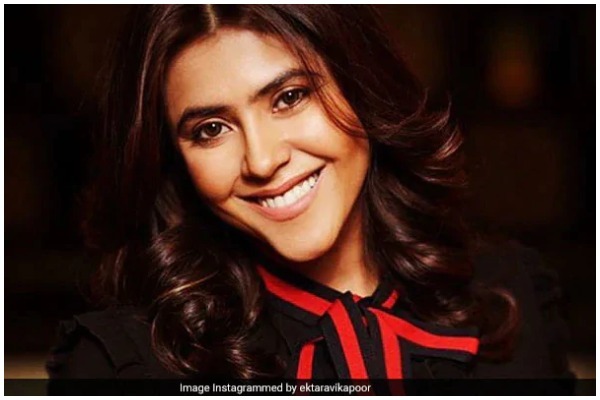 The 43-year-old Ekta Kapoor, who is known to be very close to her 3-year-old nephew Laksshya, was inspired by her brother Tushaar’s decision to choose surrogacy. Like her brother, Ekta is also a single parent. The baby was born on 27th of January and is reported to be healthy. The Kapoor household is all set to bring the little home soon. Tusshar Kapoor Dancing With Son Laksshya Is The Cutest Thing You’ll Watch Today! After failing to conceive with multiple cycles of UI and IVF treatment, Ekta Kapoor embraced motherhood through surrogacy and thanked her doctor. Twitter is already flooded with congratulatory messages. Filmmaker Hansal Mehta, who has worked with Ekta Kapoor for the web series Bose – Dead/Alive, congratulated the TV queen on Twitter, “Many congratulations and lots of love dearest Ekta Kapoor. Welcome to parenthood and joy,” he wrote. Ekta’s close friend filmmaker Sanjay Gupta also sent out best wishes to the new mother on Twitter: “And this is the most heartening news this morning. Many congratulations Ekta. Welcome to the world and joy of parenting. God bless your baby with good health and lots of masti,” he wrote. On the professional front, Ekta Kapoor released the second season of “Kasautii Zindagii Kay 2” with Erica Fernandes, Parth Samthaan and Hina Khan in lead roles. Apart from daily soap, she is also busy with the production of several web-series through AltBalaji. Ekta Kapoor produced latest superhit Bollywood movie was Veere Di Wedding. There are several upcoming projects including Kangana Ranaut and Rajkummar Rao’s Mental Hai Kya, Ayushmann Khurrana’s Dream Girl and Sidharth Malhotra and Parineeti Chopra’s Jabariya Jodi.